Friends! If you're backing me on Patreon (or interested in starting), some new bonuses are now available! 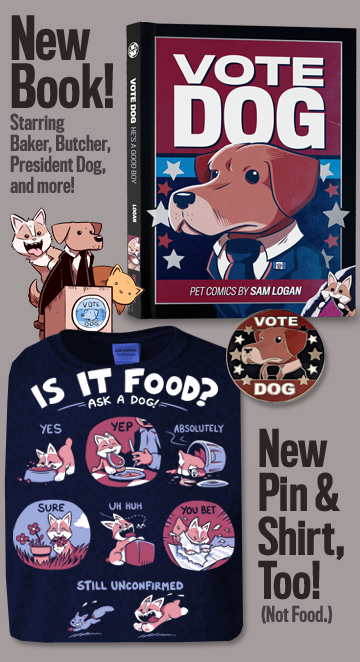 Backers at any level can now vote for this month's bonus art pieces! (You'll find the link in my patreon activity feed.) Last month, I drew an X vs Y cosplay showdown and something known only as the "bubblebath incident." What will I draw this month? We'll find out when the vote closes. 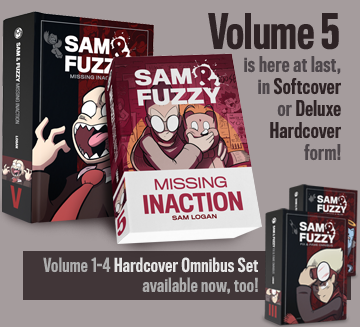 And backers at the Sam and Fuzzy Extra level can download a new 38-page issue of our monthly PDF magazine! (It can also be found in the activity feed!) It's stuffed with sketches and behind-the-scenes making-of features about comics and art pieces from last month, as well as a smattering of fanart and some fun and saucy dress-up and pin-up variant pieces. 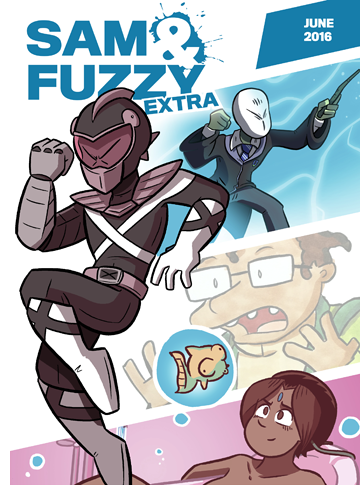 There's also a bunch of fun new stuff in the Art Vault, for our most enthused backers. Enjoy, and thanks for your support. No Q and A this week, I'm afraid, as I'm busy making my way to friggin' England to visit some pals. I'll make it up to you when I return! But don't worry... here's a new Sam and Fuzzy for you! Come back on Monday for the next one!